Shaker cards are really popular right now and after I saw Spring Fairy Scene die I knew, I will make such card. I kept everything white and added a little color with gold glitter and stars. 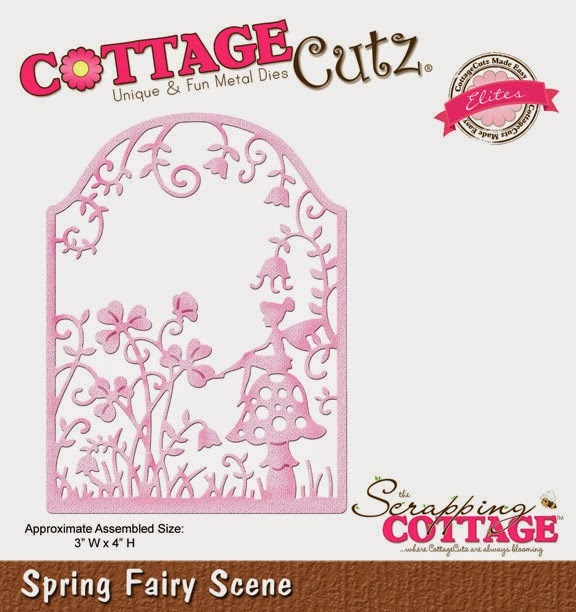 I outlined the spring fairy scene die cut on white card stock and cut it out a slit smaller as die cut. Then I glue scene on this white card stock peace and added foil on back side. Between white card stock and card stock base I added also white fun foam and fill the space with gold glitter and gold stars. The finish touch was made with Make a Wish Expression die. Awwww Vladka, I love your fairy shaker card, super sweet Hun! Beautiful job as always! WOW!!!! Awesome card! Great job Vladka! Vladka this is so very elegant. I love the dimension you created with the die too. Beautiful.